Author: Paul Held Ph. 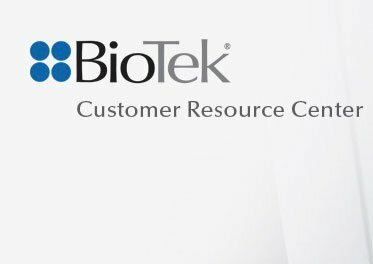 D, Principal Scientist, Applications Dept., BioTek Instruments, Inc.
Metabolic syndrome is a group of risk factors for coronary heart disease, stroke and peripheral vascular disease and type 2 diabetes. Adults with metabolic syndrome exhibit a degree of low-grade inflammation, believed to be caused by disregulated production of pro- and anti-inflammatory factors. As a result, research in this area encompasses a myriad of different analytes including cytokines, acute phase proteins, biomarkers for diabetes, obesity related hormones and cardiovascular disease. 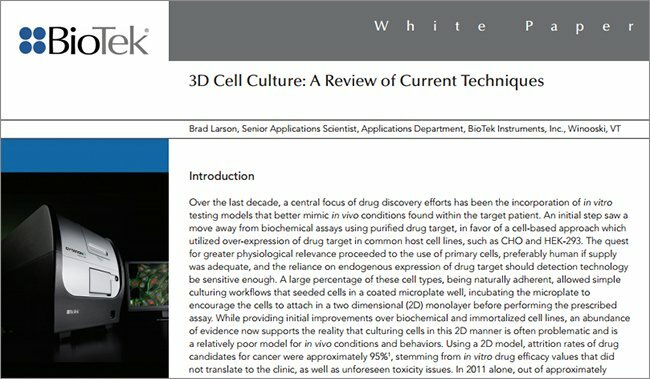 Millipore, in response to these research needs, has developed multiplex assays that use ferrite beads as a solid substrate. These beads require a magnetic field for bead retention during the wash steps. 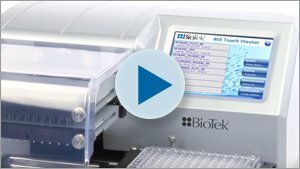 Here we describe the use of the ELx405 Magnetic Bead Washer to automate the wash steps used with the MILLIPLEX™ MAP Metabolic Hormone Assay Panel. 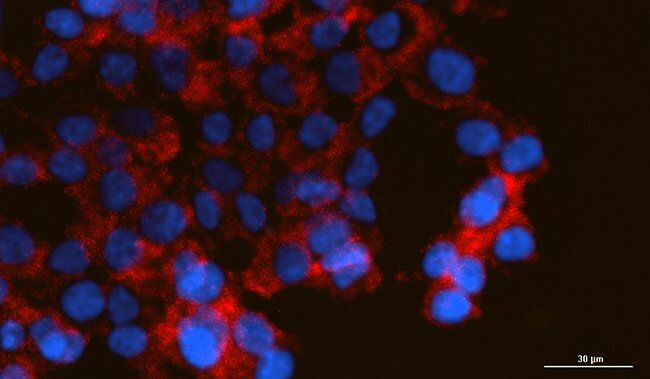 Hormones produced by cells and organs of the endocrine system, including adipocytes, the pancreas, and the gastrointestinal tract, play a critical role in regulating the body’s metabolic state. Metabolic syndrome represents a group of risk factors in one person that include: central obesity; atherogenic dyslipidemia; insulin resistance; prothrombotic state; raised blood pressure; and a proinflammatory state. People with metabolic syndrome are at increased risk of coronary heart disease, stroke, peripheral vascular disease and type 2 diabetes. The syndrome is closely associated with obesity and as many as 47 million US adults are believed to have metabolic syndrome . Many of the risk factors listed with metabolic syndrome are regulated by metabolic hormones. 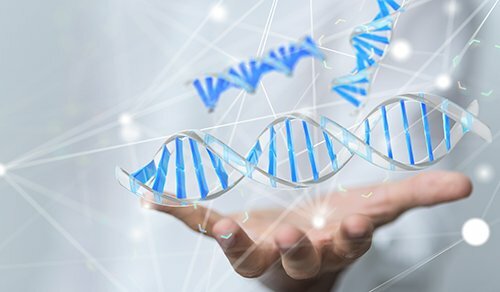 As a result of the severity of this epidemic a large amount of research is being performed on the regulatory hormones associated with this disorder. Because there are a number of different hormones that act in concert, it is advantageous to be able measure a number of different analytes simultaneously from the same sample. 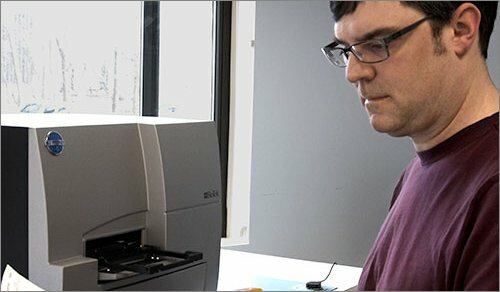 The MILLIPLEX MAP Metabolic Hormone Assay Panel from Millipore uses xMAP® bead technology from Luminex to perform a 13-plex assay on samples. 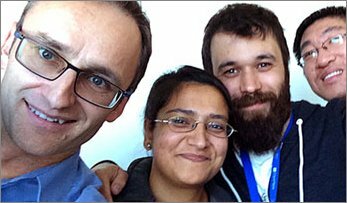 Despite using a multiplex reaction, many researchers still need to assay large numbers of assay samples. 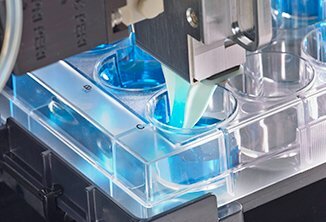 Microsphere based assays such as the MILLIPLEX MAP assays were originally designed to be used in conjunction with manual or semi-automated vacuum wash systems, such as the ELx50™ FMW . While these systems worked well for low throughput demands, they did not lend themselves well to the complete automation needs of high throughput analysis. 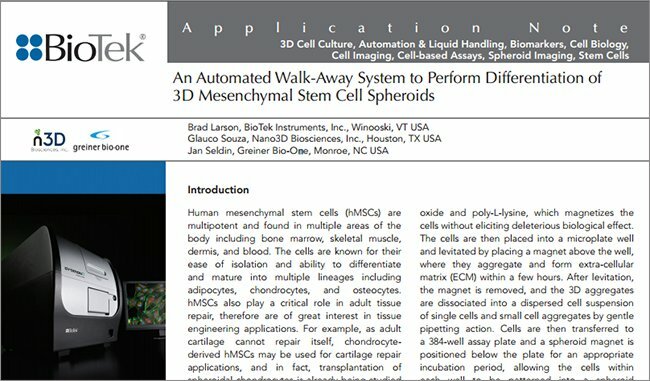 To remedy this situation and provide a platform that is readily automatable, new microsphere technologies that are partially coated with super-paramagnetic iron oxide were developed. 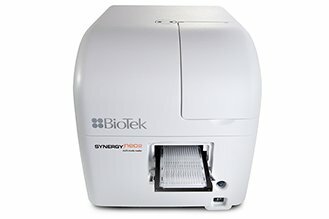 The ELx405™ Magnetic Bead Washer is based on the industry standard robust design of the ELx405 Microplate Washer. The ELx405 Magnetic Bead offers full plate washing of magnetic microspheres. The washer uses a custom LifeSep™ magnet design from Dexter Magnetic Technologies. 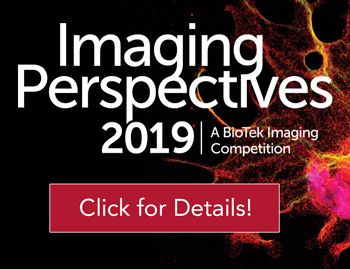 Two different magnets, each with high-energy neodymium iron boron magnets that can rapidly separate and retain micrometer and nanometer beads, have been designed to accommodate 96- and 384-well microplate formats. 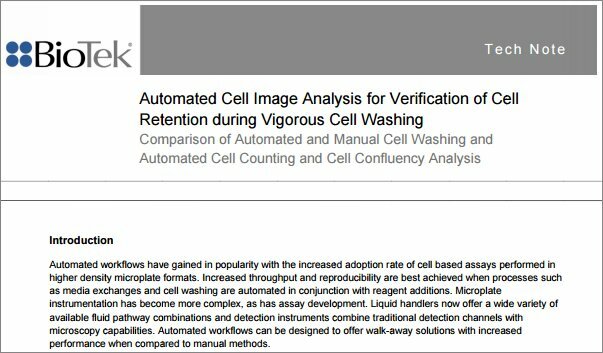 Here we describe the important wash parameters of the assay and demonstrate the ability of the ELx405™ Microplate Washer to automate the wash steps employed by the MilliPLEX™ Metabolic Hormone Assay Panel. 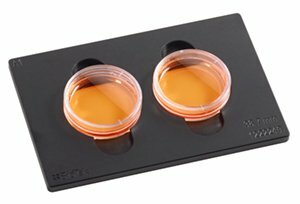 MILLIPLEX MAP assay beads are comprised of polystyrene microspheres of about 5.6 microns in diameter that have been impregnated with ferrite particles as well as a mixture of two colored dyes. The relative volumes of the dyes are carefully adjusted to provide 100 distinct colors that can be used to differentiate beads and provide a means to simultaneously measure up to 100 analyte in a microplate well. 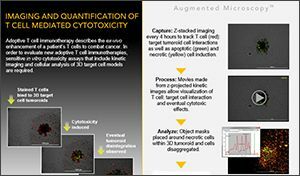 Capture of analyte molecules is provided by conjugating analyte specific primary antibodies to the surface of the microsphere and using fluorescently-labeled reporter tags that bind to the captured molecule. In the case of metabolic hormone assays, the capture molecule would be a primary antibody against the hormone analyte and the reporter tag would be a secondary antibody to a different epitope on the protein labeled with biotin. Fluorescent readout would then be provided using streptavidin labeled with phycoerythrin, which bind directly to the biotin moiety of the secondary antibody. The amount of bound phycoerythrin is proportional to the amount of analyte (Figure 2). Figure 2. Principle of xMAP® assay. C: Binding of reporter tag to produce analytical signal. Detection is accomplished with a device that is essentially a two laser flow cytometer, where the microspheres are channeled individually through the detection volume defined by the two lasers, one green, and the other red. The green laser excites the Phycoerythrin reporter tag and generates the analytical signal used to quantify analytes. The red laser excites the dye mixture inside the bead and identifies which analyte is being measured by the bead type (Figure 3). Figure 3. Principle of signal generation. C: Red laser identifies analyte via bead type. 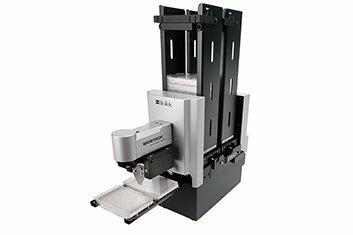 The ELx405 Magnetic Bead Washer is based on the industry standard robust design of the ELx405 Microplate Washer. The ELx405 Magnetic Bead Washer offers full plate washing of magnetic microspheres. The washer uses a custom LifeSep™ magnet design from Dexter Magnetic Technologies. Two different magnetic plates, each with high-energy neodymium iron boron magnets to rapidly separate and retain micrometer and nanometer beads, have been designed to accommodate 96- and 384-well microplate formats. The magnet is removable for easy cleaning and safe storage when not in use. The strong magnetic field, 6,800 Gauss for the 96-well version, provides rapid bead sequestration. Besides the magnetic separation capabilities, the ELx405 Magnetic Bead Washer offers all of the standard and optional features provided with the existing ELx405 washer family. As with any ELx405, the Magnetic Bead Washer accommodates standard ELISA washing with an available Dual-Action™ manifold for independent control of aspiration and dispense tubes along with an available built-in ultrasonic cleaner for easy unattended maintenance. 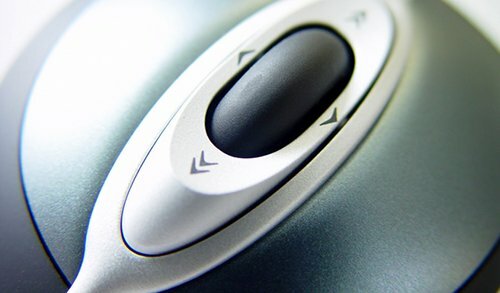 Automatic buffer switching for up to four wash buffers is optional along with a choice of washer control using the built-in keypad or PC control via Liquid Handling Control™ software. 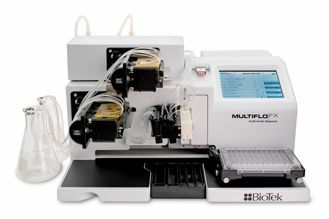 A Millipore MILLIPLEX™ MAP Human Metabolic Hormone Magnetic Bead Panel, catalog number HMHMAG-34K, was used to evaluate the performance of the ELx405 Magnetic Bead Washer. A series of calibration curves were generated and assays according the assay kit instructions. Briefly, seven working multiplex standards were generated by serially dilution (1:3) of the reconstituted Human Metabolic Standard. These standards contained 13 different analytes. After reconstitution, 25 µL each of assay buffer, standards, matrix solution, and beads were pipetted into wells of the assay microplate. The reaction was allowed to incubate for 2 hours at room temperature (RT) with agitation on a plate shaker. After incubation the plate was washed using an ELx405™ Magnetic Bead Washer (BioTek Instruments) as described in the washing instructions below. After washing, 50 µL of detection or secondary antibody reagent was added and allowed to incubate for 60 minutes at RT with agitation, followed by the addition of 50 µL of SAPE reagent. After a 30-minute incubation with agitation to allow for reporter tag binding to occur, the plate was again washed as described in the washing instructions, except that 100 µL of sheath fluid residual was left. 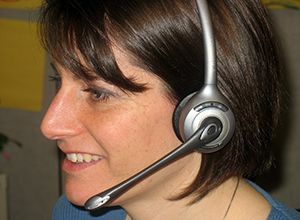 Samples were then read on a Luminex 200 reader with XPONENT software (Figure 4). Figure 4. 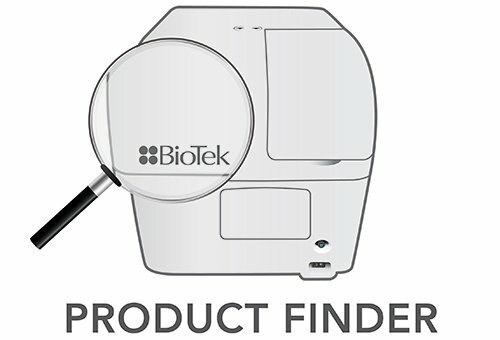 MILLIPLEX™ MAP Assay Protocol using ELx405 Magnetic Bead Washer Protocol (see Table 1). Following an initial soak time of 60 seconds to capture the beads, the wash protocols consist of series of dispense, soak and aspiration steps under magnetization. 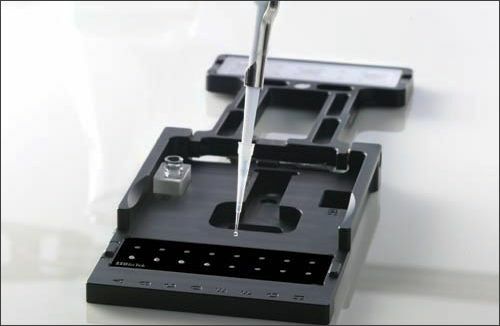 Automated plate washing was performed using the ELx405 Magnetic Bead Washer (BioTek Instruments). The programming “link” function of the washer was used to link a soak routine (SOAK60) to a wash procedure (MAGX3) depending on the plate matrix. The soak routine allows for a 60 second bead capture by the magnet, while the wash procedure automates dispense and aspiration. The wash procedure has also utilized soak routines between cycles to allow the recapture of any beads resuspended during the fluid dispense. The specific parameters for each procedure are listed in Table 1. These parameters have been optimized for both bead retention and washing efficiency. Table 1. ELx405 Magnetic Bead Washer Protocol for MILLIPLEX MAP. Using known concentrations of analyte a series of standard curves can be generated for each metabolic hormone biomarker by plotting the fluorescent signal against concentration. These standard curves can then be interpolated to determine the concentrations of unknown samples. 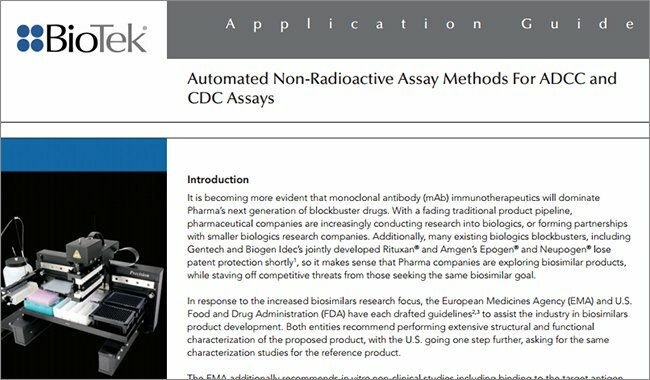 As with ELISA reactions, in order to obtain useable results, efficient washing to remove nonspecific antibody binding is critical. 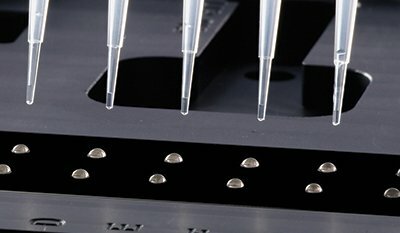 However, unlike ELISA reactions where the solid surface is the microplate itself, with bead based assays retention of the bead is equally important. As shown in Figure 5, using the ELx405™ Magnetic Bead Washer to wash magnetic bead based multiplex assays in a 96-well microplate format results in very reliable data. These standard curves can be used to calculate unknown sample concentrations with a high degree of confidence. Figure 5. Standard curves for the MILLIPLEX™ MAP 13-plex Human Metabolic Hormone Panel from Millipore. There are a number of different means to wash multiplex magnetic bead based assays, including bottom filtration that results in adequate accurate calibration curves. Equally important is the degree of precision obtained with these different methods. As demonstrated in Figure 6, comparisons were made with using magnetic beads in conjunction with the ELx405 Magnetic Bead Washer, a commercially-available magnetic strip washer and standard filter washing via vacuum filtration using the same beads. While the standard curves were all essentially the same (data not shown), when the precision of the replicate data for each of the three cases was analyzed in a histogram, it was noted that the ELx405 produced significantly higher precision and was not prone to high variance data indicative to loss of beads by filter plate clogging. Figure 6. Histogram depicting the frequency of data points in the standard curve with CVs depicted on the abscissa (x-axis). 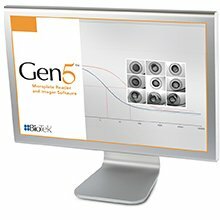 Working with Millipore, BioTek has developed a magnetic bead washer capable of automating and improving the precision of different types of magnetic bead-based assays. 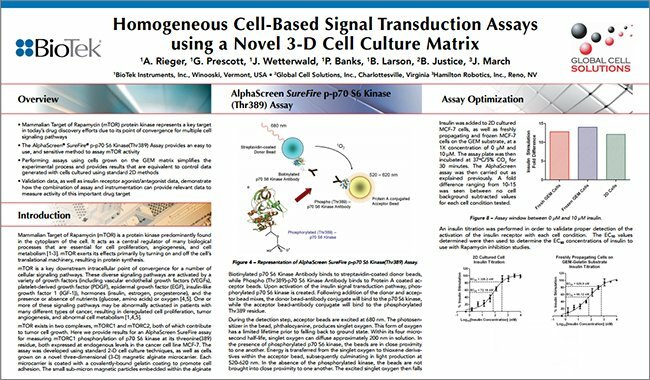 MILLIPLEX™ assays from Millipore are antibody-based analyte capture assays used to quantify protein biomarkers. 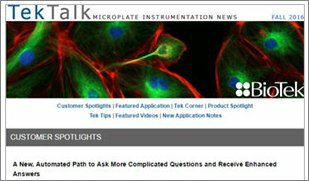 In this application note, we demonstrate the use of a MILLIPLEX 13-plex human metabolic hormone panel. 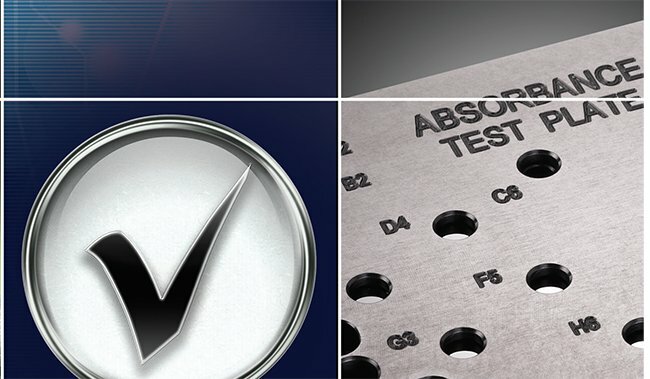 The custom LifeSep™ magnetic plate from Dexter Magnetic Technologies supplied with the ELx405 Magnetic Bead Washer provides some advantages over many off the shelf magnets. Different magnets have been designed for 96-well or 384-well applications. The 96-well version uses 8 magnetic bars that travel through the center of 12 wells. In other words each row (A-H) has a separate magnet. The common magnet also reduces the variability between different magnets that can be associated with 96 different magnets. 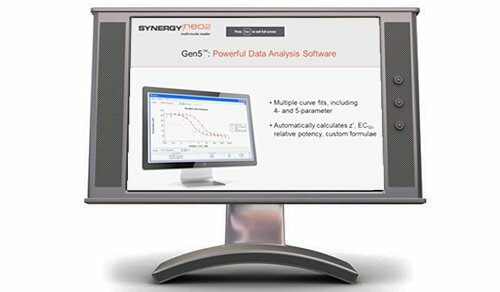 The ability to multiplex several related, but distinctly different analytes in the same assay well saves considerable amounts of time, reagents, as well as precious sample. 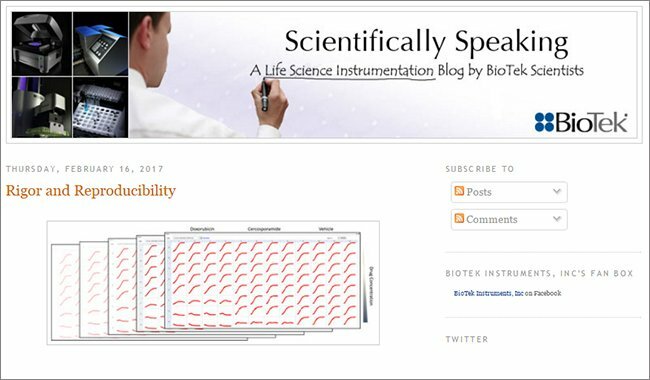 However, with increasing numbers of analytes in a multiplexed assay the potential fro cross-reactivity and non-specific interference increases. The ability to provide a vigorous wash routine, while retaining the assay beads is an important factor in preventing artifactual signal. In this example the metabolic hormones: amylin; ghrelin; GIP; GLP-1; glucagon; IL-6; insulin; leptin; MCP-1; pancreatic polypeptide; PYY; and TNF-a were assayed simultaneously with very good results in part due to the efficient washing provided by the ELx405 Magnetic Bead Washer from BioTek Instruments. 1. 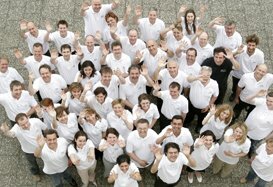 Ford ES, Giles WH, Dietz WH (2002). Prevalence of metabolic syndrome among US adults: findings from the third National Health and Nutrition Examination Survey. JAMA 287(3):356-359. 2. 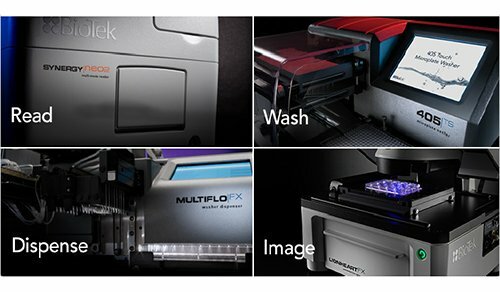 Held, P. Using the ELx50 Filter Microplate Washer to Perform the Wash Processing Steps Required for Luminex xMAP Assays. 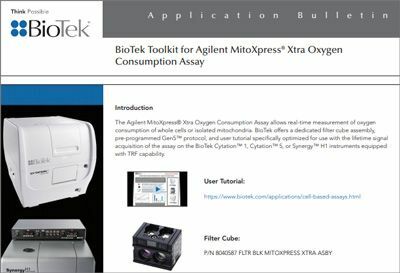 BioTek Application note, www.biotek.com. Thanks to Xiao Qiang, Millipore Corporation, St. Charles, MO for the provision of the 13-plex Human Metabolic Hormone Panel data.